Hello, Everyone! 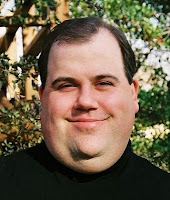 My name is Doug Solter and I’m an indie author who loves writing young adult fiction. I enjoy the genre because of the quick pacing, the fresh point of view, and the flexibility and challenges of writing it. My favorite categories of the genre are contemporary, science fiction, paranormal, and action. 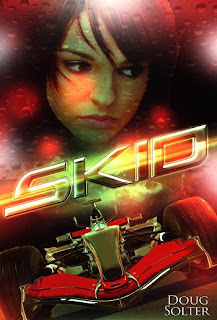 My first novel, Skid, is a young adult novel that some could label a “racing” novel. But I’ve heard from many readers who love the book despite their lack of interest in auto racing. I take great pride in that because one of my goals for the novel was for readers to embrace the teen character and her struggle. Racing was only meant to be the setting for Samantha’s tale, not the wall a reader must climb over to appreciate her story. I wanted readers to fall in love with the magic of a girl who had a dream and the will to pursue it. So today I wanted to give some of you a little insight into Samantha Sutton, the main character of Skid. 1. Samantha is a passionate yet stubborn teen girl with a temper she always struggles to control. 2. Her mother hates the fact her daughter races cars. She wants Samantha to go to Junior College since it’s much safer. 3. Samantha is the middle sister and the only daughter who shared her father’s love for racing. He died in a car crash. Samantha vows to make those racing dreams they both shared come true. 4. The girl doesn’t think about death. It’s bad luck to think like that when you’re racing a car over 200 miles per hour. Fear can freeze you up and make you lose your edge. And your nerve. 5. Her parent’s farm is near a small town in Oklahoma. When she travels to Europe to race in Formula 1, Samantha has to adjust to a new world with new pressures, new expectations, and new problems. 6. Samantha hides a secret that could rip her family apart. A family that means everything to her. 7. Boys and Tomboys can be a tricky mix. When Samantha befriends the nephew of the racing team’s owner, she struggles with trying to hold on to a friend who wants to be so much more. 8. Samantha loves Amsterdam. The canal boat rides are her favorite. Especially when you can share it with the right boy. 9. Samantha hates it when it rains. Especially when she has to race a car in it. 10. She meets her all-time racing hero and must race against him. Samantha finds that heroes can sometimes be the greatest enemies. Thank you so much for stopping by and reading. Please feel free to say hello on Twitter, visit my website, or shoot me an email. I would love to hear from you! If you’d like to give Skid a spin, you can purchase the ebook on Kindle, Nook, Kobo, ITunes, and Smashwords. Or if you prefer, you can buy the paperback on Indiebound, Barnes and Noble, or Amazon. Samantha’s racing dreams come true when a struggling Formula 1 team takes a long-shot on a 17-year-old girl racer from Oklahoma who shows unusual promise behind the wheel. But staying on top of the leader board will take every ounce of determination and fire Samantha has to fight for her job and for the world championship. Even if that means confronting the only fear that will keep Samantha from becoming the race car driver she is destined to be. Growing up in Tulsa, Oklahoma, Doug went to college at nearby Oklahoma State where he earned a B.A. in Radio/TV/Film production. Doug started writing screenplays in 1998 and became a 2001 semi-finalist in The Academy of Motion Pictures Arts and Sciences’ Nicholl Fellowships in Screenwriting for his fifth screenplay, Father Figure. His tenth script, Rail Fan, became a quarter-finalist in 2009. Soon after, Doug made the switch to writing young adult novels. Skid, a young adult novel set in the world of Formula 1 racing, is his first. and blog hosts, tons of prizes and fun.